After weeks of ballot challenges, the final election ballot is set. Chicagoans can begin casting votes for mayor, alderman and other citywide offices as early as Tuesday, when the city’s “super site” opens in the Loop (175 W Washington St.). Voting at 50 ward sites begins Feb. 11. On Monday, one of those candidates made a hard push on ethics reform after feeling the heat over her connections to embattled Alds. Ed Burke and Danny Solis. Illinois Comptroller Susana Mendoza, who is running for mayor, has brought former federal prosecutor Dan Webb on board as a consultant on ethics reform, citing his role in the massive Operation Greylord that took down dozens of judges and public officials. She also wants to put together a commission as one of her first duties as mayor and take the recommendations of that panel. More: When Does Early Voting Start for Chicago’s Feb. 26 Election? Beyond that, Mendoza is proposing a two-term limit for mayor and aldermen, a limit on outside employment (if aldermen won’t pass a full-on ban on such employment), a ban on hiring family members for high-level positions, and an end to aldermanic prerogative in which aldermen have complete control over zoning and licensing decisions in their wards. One of her opponents, Cook County Board President Toni Preckwinkle, responded with a dig. “It’s ironic to release an ethics plan in the same week it was discovered she took $120,000 in political donations from Alderman Solis and from companies controlled by his longtime ally Brian Hynes,” the Preckwinkle campaign said. Solis reportedly wore a wire to assist the federal investigation of Burke. 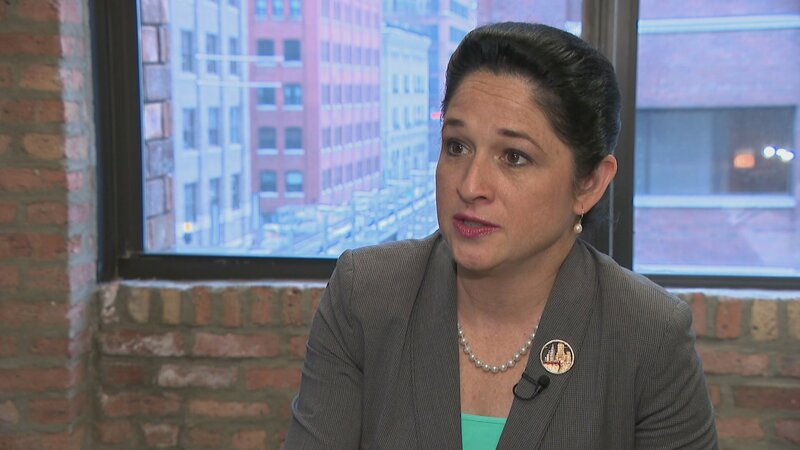 Hynes is a close ally of both Mendoza and Solis who runs a company that pays Illinois vendors that are owed money by the state, and then collects on the principal interest when the state finally pays those bills. Mendoza says she has gotten campaign money from that company, but says it never played a role in her determining who got paid and when. “I have prioritized people, nursing homes, children with disabilities, at every turn as comptroller, and not only did I not prioritize the vendor payment programs or any of their participants, I put them at the back of the line,” Mendoza said. Mendoza has given away all political donations associated with Hynes and Solis. And she swung right back at Preckwinkle on Monday, blasting her opponent for the haziness surrounding a donation Burke allegedly tried to extort from a Burger King operator – as spelled out in a criminal complaint against Burke.